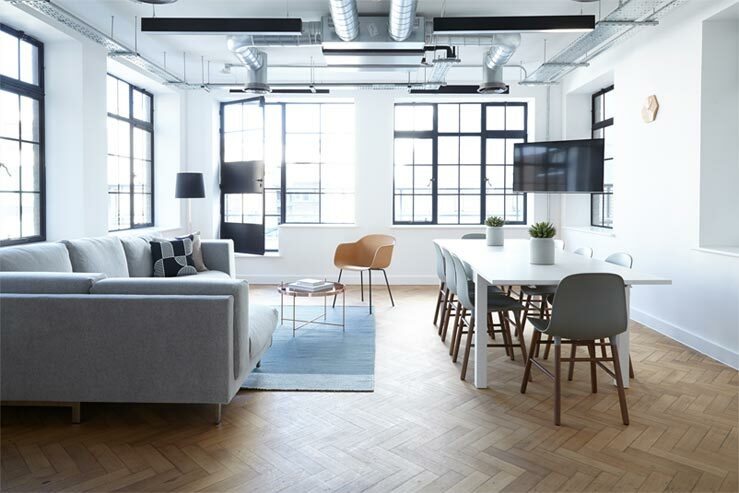 Whether you are considering moving location or refurbishing your existing space, McFeggan Brown is a Bristol based company that provides the complete office interior solution. An office should be more than just a place to work. It should be a practical but inspiring and energising space where ideas can flow. At McFeggan Brown, we know that to meet these objectives, it is vital to understand yours. From strategy conception through to the production and implementation of design, our experts ensure that everyone is on the same blueprint. Leave the design to us, and focus on the progression and profitability of your business. Independent expertise, quality management, continued investment into design and high-profile workmanship has granted McFeggan Brown with an unrivalled reputation for excellence. Our specialist services range from the support of a single element to a total business interior package. Let us transform your office space into a new inspiring environment. Invista Koch engaged with McFeggan Brown to design and fit out new offices for their Lycra brand new European Operations office at Elmbridge Court in Gloucester. Their brief was to provide staff moving across to this office with a smart, quality, branded office space that would be fun to work in with facilities and fit-out to a superior standard. This was a time critical project and works were completed on programme and within budget. 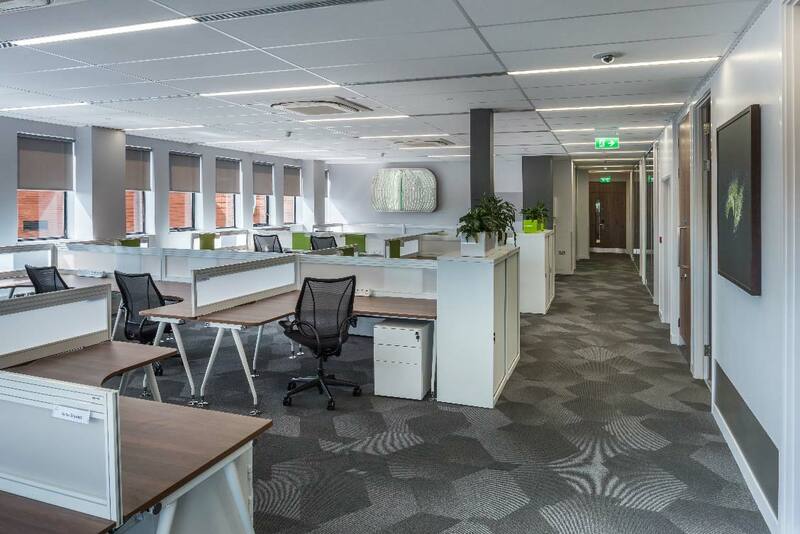 McFeggan Brown were engaged by Eurofins Digital Testing to design and build a new 4900 sqft office within the prominent Castlemead building in Bristol. To truly enhance their new workplace, the Eurofins team wanted a "wow-factor", revolved around creating a central breakout area that could also be utilised for team meetings, as well as providing 4 individual meeting rooms and desk space for 56 team members. The finished result is a bespoke design that fulfils every aspect of the brief, creating a unique and inspirational environment for all team members. Recruitment company Opus needed a top quality office space to accommodate their expansion. The result featured a high-end break out space; two spacious boardrooms, with moving walls to allow optimum flexibility for meetings arrangements; two offices for company directors; 190 workstations and even a soundproof gym for the use of all employees. Visual computing technology company NVIDIA required a space to match the high tech nature of the business. The existing office had its solid walls stripped out to make way for a fresh look that included 20 workstations, two boardrooms, anti-static laboratory and cutting edge comms room - all completed within eight weeks. 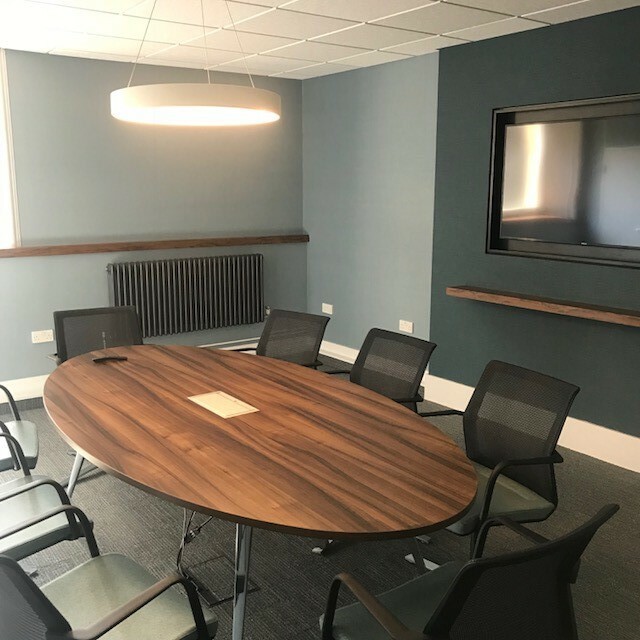 McFeggan Brown were invited to partner Design At Work to fit out a boardroom for Whitechurch Securities at their head office in Redland, Bristol. Working to Design At Works specification and plans, a high quality fit out was delivered to transform a dated and dull space. McFeggan Brown provided design for two crew room refurbishment projects at Birmingham and Bristol Airports, Working with the airport facilities teams and Thomas Cook, both projects were delivered to the satisfaction of all concerned and now the flight crews and ground staff are enjoying a fresh, modern and multi-functional workspace. McFeggan Brown was engaged by Five AI to design and build a new 2500 sqft office space in Bristol. Five AI were located in a smaller office nearby, but needed extra space for expansion. A stylish looking, sleek tea point was required along with power and lighting to suit the new layout of the office. Working closely with Five AI McFeggan Brown created a modern looking office, completed on time and on budget. McFeggan Brown were engaged by a confidential client to design and complete fit-out works to a new 6000 sqft office space in Swindon. The client was moving out of serviced accommodation and looked to McFeggan Brown to design and fit-out the office to a suitable standard, providing a pleasant place to environment for their staff who work closely together on projects and required a modern, 'clean' looking space including 4 meeting rooms, an ESD approved laboratory and an office space for 50 persons. as usual the works were completed on time, and to budget. Office design and fit out to new offices in Prince Street, Bristol. McFeggan Brown worked with Baltimore to provide new partitions, finishes and mechanical services. New furniture and graphics were supplied to complete the project. 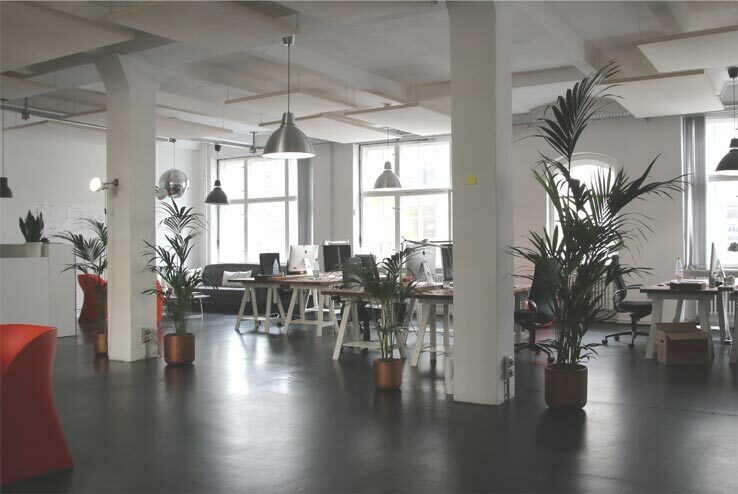 Could you improve your team’s health by making changes to your office? Our team relish the opportunity to demonstrate their knowledge and provide a tailored experience with bespoke results.